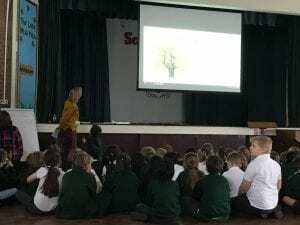 Little Green Junior School | Community Art to celebrate 70th – Thank you Bunny! Community Art to celebrate 70th – Thank you Bunny! One of our community turns out to be a talented abstract artist and, together with her husband, is supporting Year 3 to create a large canvas to celebrate our 70th Anniversary. Thank you to Bunny Neath and Mrs Rowland for helping to coordinate and facilitate this – I cannot wait to see what you all create. This sounds wonderful! I’m looking forward to seeing the finished canvas.